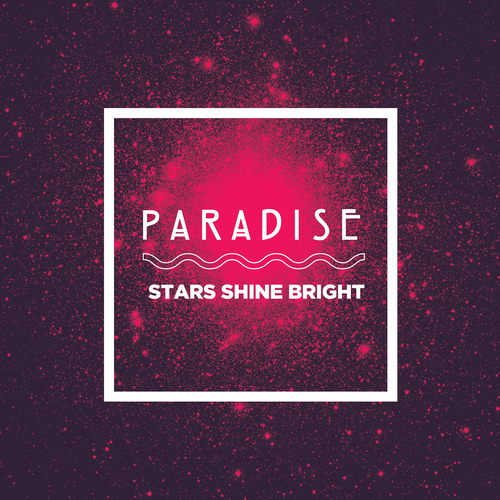 This new single finds Paradise going deeper into the electronic realm, grappling with childish naivety with newfound samplers and synths. “Stars Shine Bright” was recorded on location in a sealed bunker known as A10/The Empty Parallel (the spiritual home of Paradise & The New Legendary Children of Mu). It is a rallying call for the youth, addictive and dense, pop hooks stitched and woven through breakbeats, drum machines, synths and guitar. “I Can Feel Your Love”, a dream-disco cut for the soundtrack of a film that didn’t exist, see’s Paradise collaborating with an outsider for the first time. James Rutledge (Everything Everything, Post War Years and remixer of Four Tet and Radiohead) took the controls of the Starship Paradise and together they entered hyperspace. Both tracks were mastered by MJ of Hookworms fame.